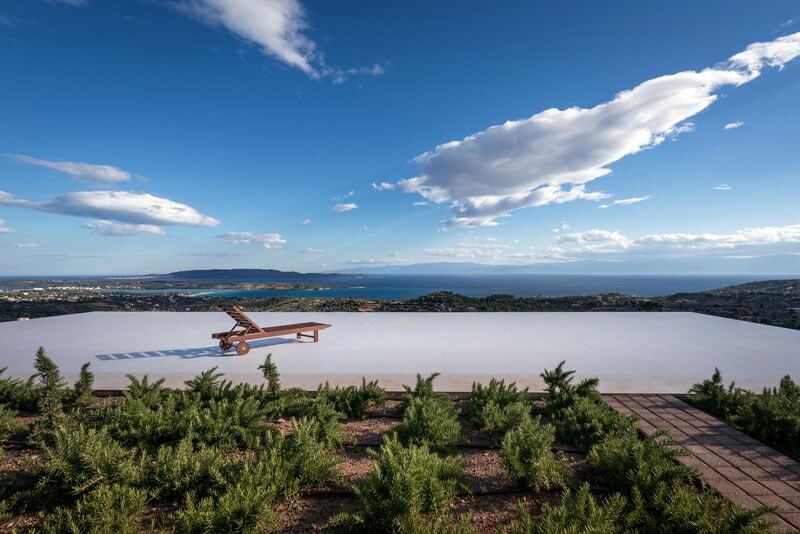 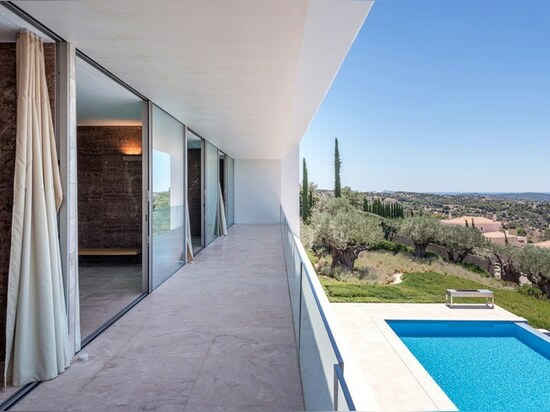 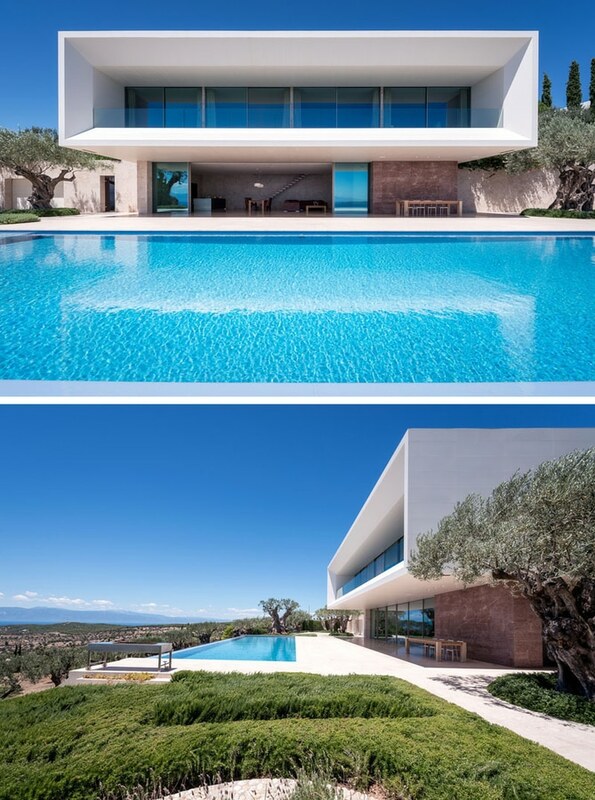 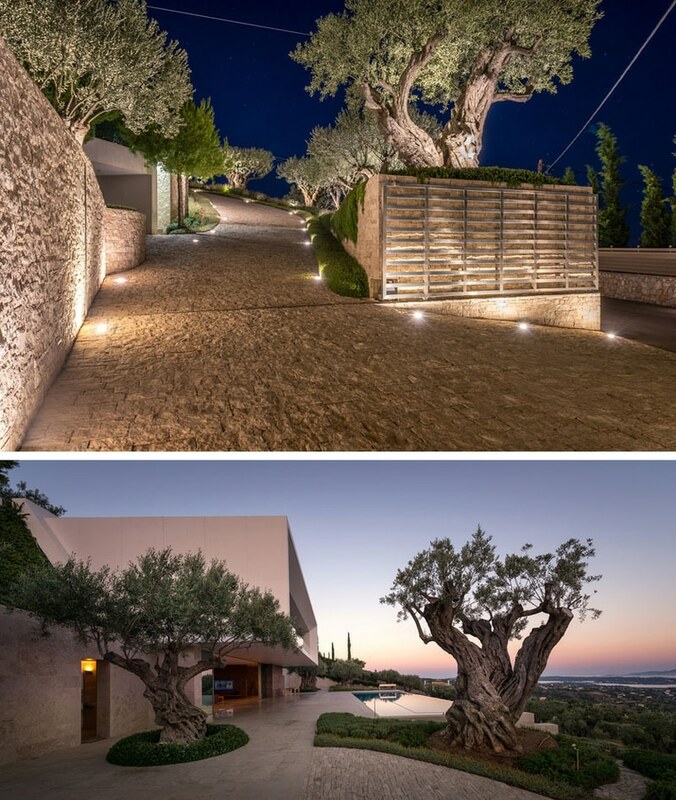 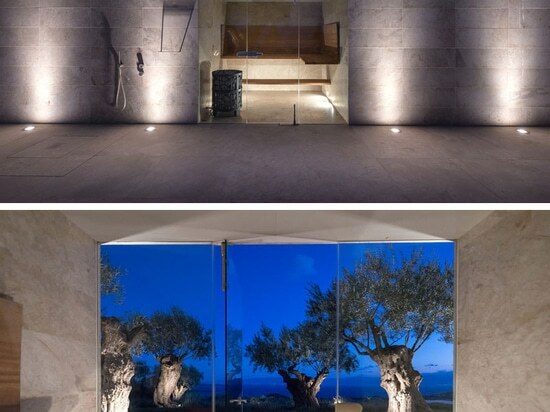 Sergey Fedotov has designed the TRIF House, a minimalist villa that’s located in the Argolis region of Greece, overlooking the Aegean sea and the island of Spetses. 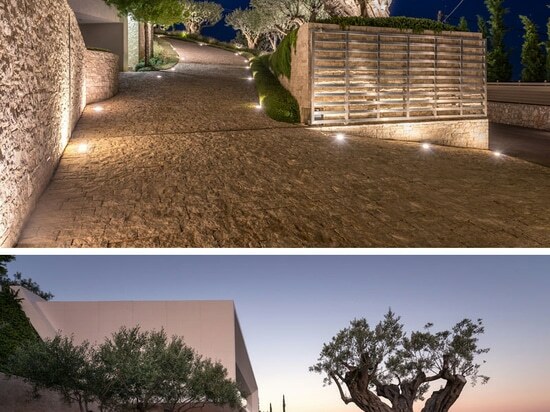 A stone driveway lined with trees leads from the street up to the house. 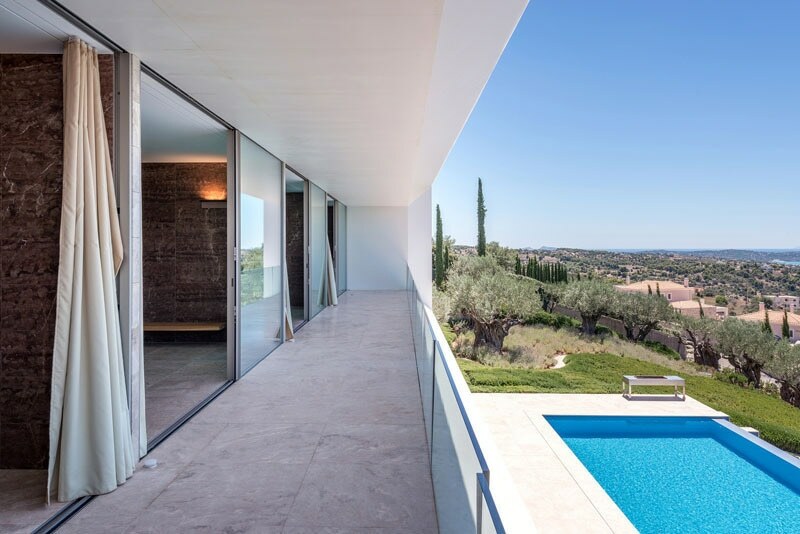 The design of the house has a large extruding box frame that has a 13 foot (4 metre) overhang to provide protection for the lower floor, and a 9 foot (3 metre) overhang for the upper floor with the bedrooms and bathrooms. 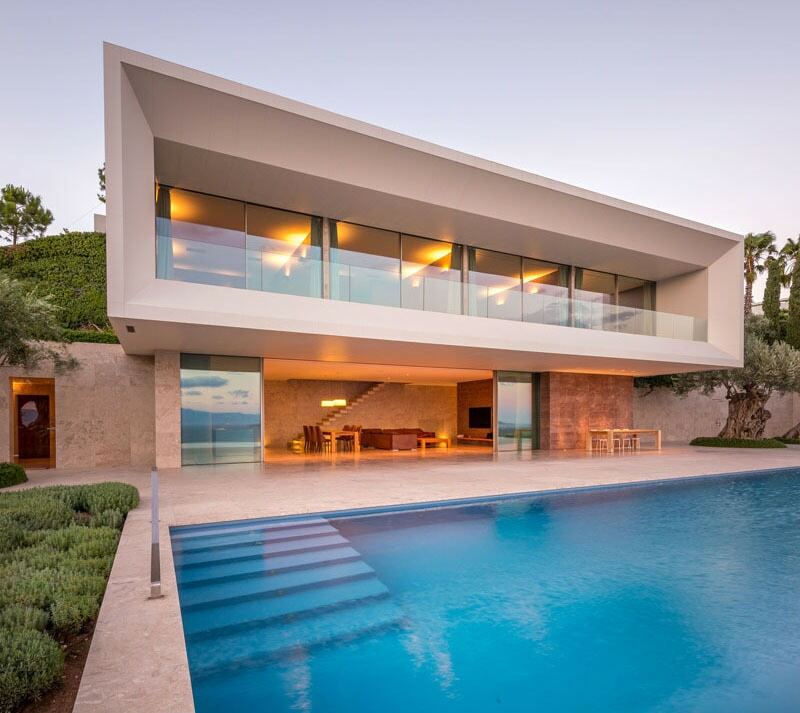 A large infinity pool runs the length of the house, while a large deck provides plenty of space for entertaining. 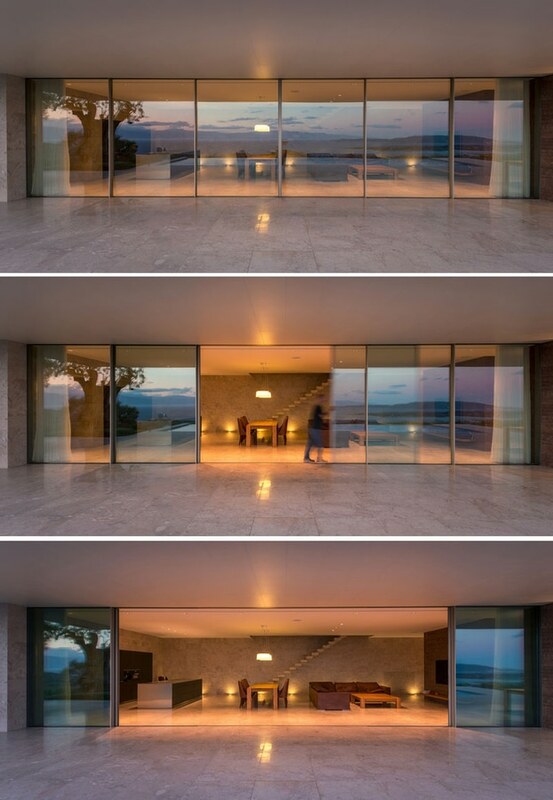 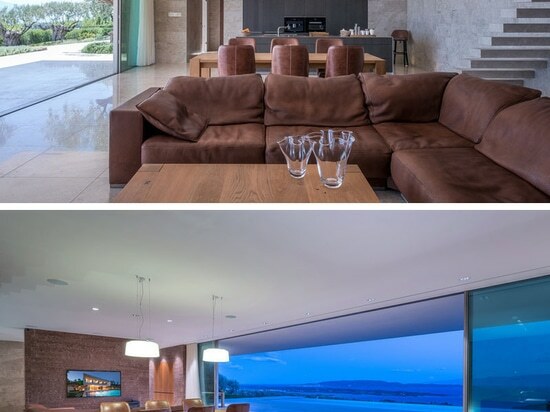 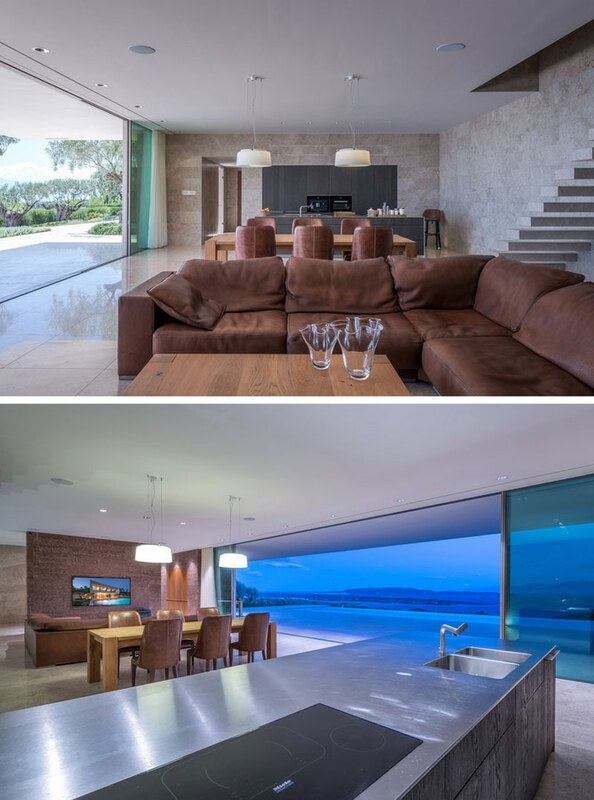 Frameless sliding windows by Sky-Frame, create a seamless transition between the inside and the outside. 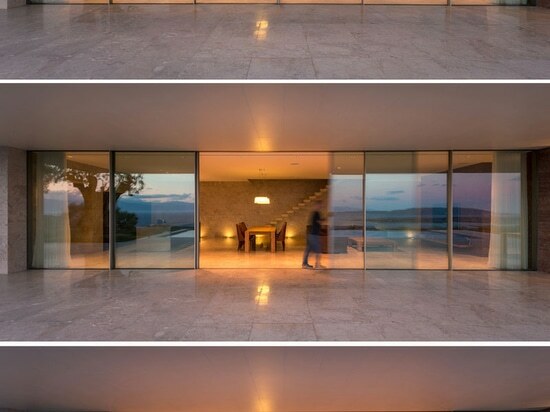 The sliding doors, powered by an electric drive, can be opened at the push of a button. 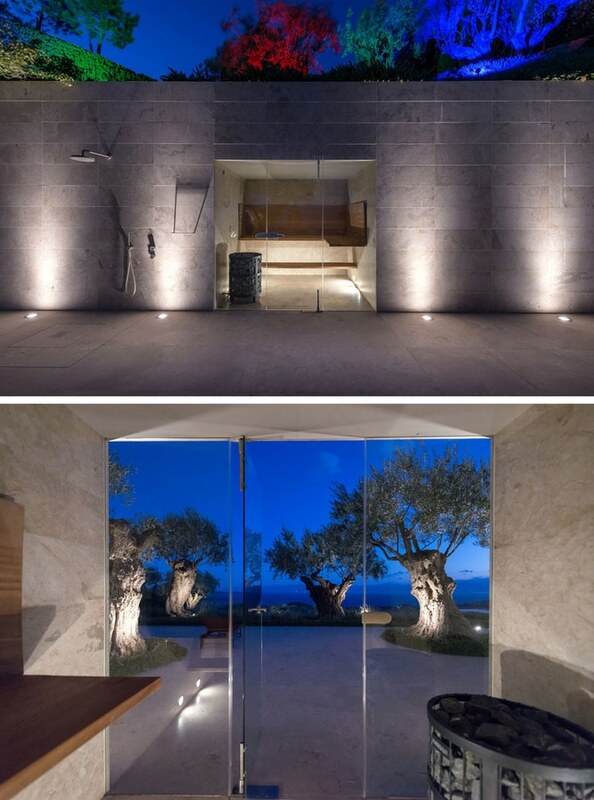 Inside, the living room, dining room and kitchen all share the same space, while marble has been used throughout the interior walls and floor. 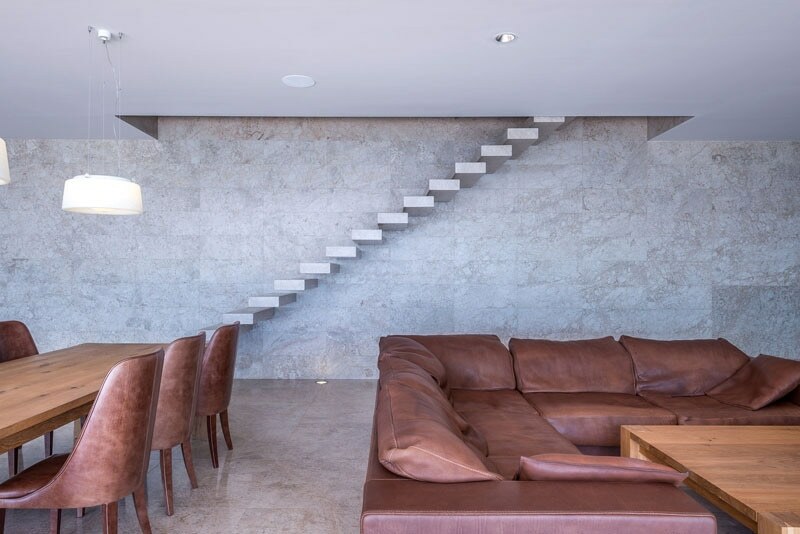 Floating stairs located against the wall lead to the upper floor of the home. 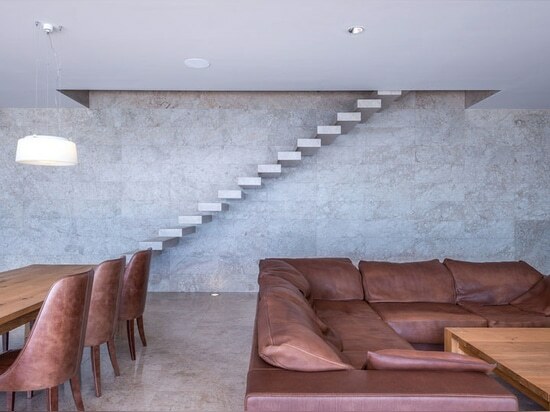 The upper level houses two guest bedrooms with en-suite bathrooms and the master bedroom with separate walk-in dressing room and a large bathroom. 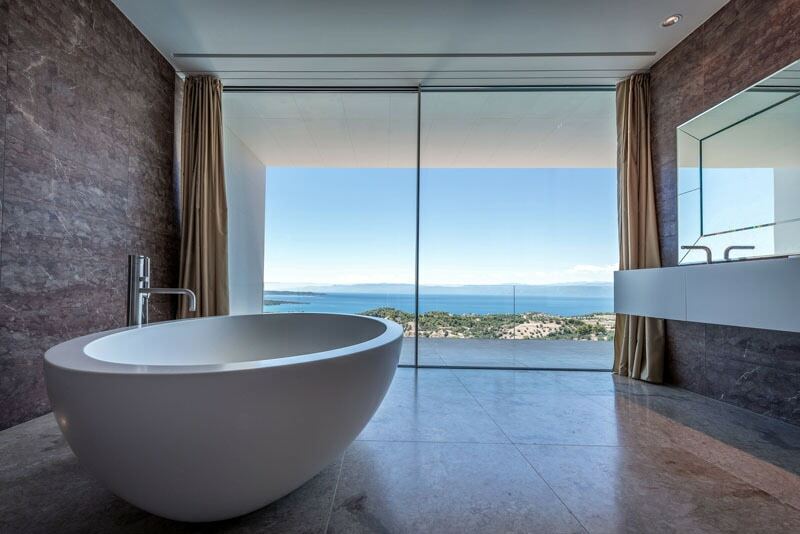 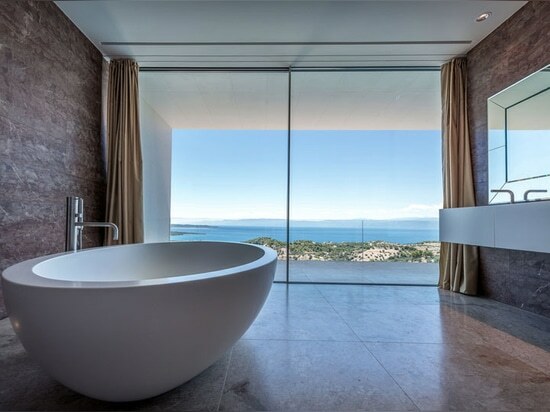 All of the rooms, like this bathroom, enjoy a panoramic view from the large covered balcony. 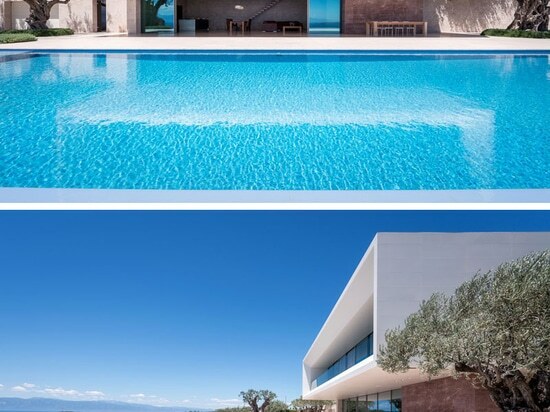 The home also has a sauna that’s hidden in a retaining wall by the pool. 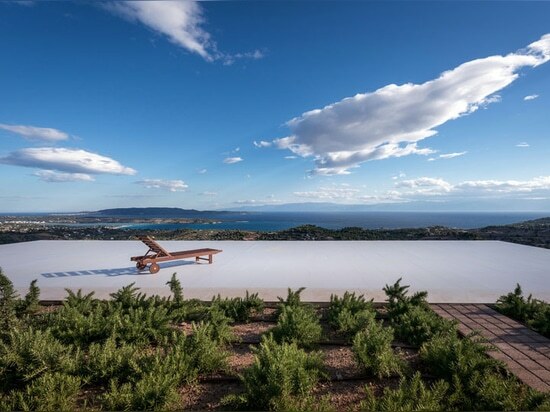 There’s also a roof terrace with wide-sweeping views of the sea and surrounding landscape.